I’ve been working as a full-time doula for over fourteen years, and I bring a lot of experience and knowledge to each labour. To date, I’ve attended over six hundred births in various settings, such as home and hospital, including vaginal breech births, VBACs in home and hospital settings, as well as a variety of high-risk situations. 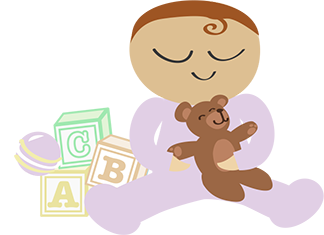 I am a certified Doula, providing birth and postpartum support. I am an NGH-certified consulting Hypnotist and a certified HypnoBirthing® Educator, affiliated with the HB Institute. I am also an NLP Practitioner as certified by the WEL-Systems® Institute, and I update my skills regularly. As a member of the Ottawa Valley Doula Association, I abide by their Code of Ethics and Standards of Practice. I hold an OVD ID badge that permits me to be counted as part of the care team at the Ottawa Hospital (both Civic and General campuses) and at the Montfort hospital. This means that in the event of a public health concern, such as H1N1, as your doula, I will always be allowed to accompany you to your birth and will not be counted as a visitor. In supporting new families, I’ve found my calling, and I love what I do. I am passionate about working with women to help them discover the power and innate intelligence of their own bodies. I engage my clients with humour and compassion, to create a safe and light-hearted environment. Nothing gives me more joy than to hear from my clients that they’ve had a birth experience that they’ll treasure for life. I come from a big family. We were 10 children altogether, and all born at home. I’m a mother of two adult children myself, and both of my births could not have been more different. In my free time, I can be found poking around my garden, enjoying nature in a variety of outdoor activities, and I’m also a voracious reader.